Breastfeeding has wonderful benefits for moms, babies, families and our environment. To start, breast milk is the perfect source of nutrition for infants. Breast milk is easy to digest, promotes bonding between mother and child and is associated with much lower levels of infant illness and chronic conditions like SIDS, diabetes and allergies. Breast milk contains a nearly perfect mix of vitamins, protein and fat—everything your baby needs to grow and thrive. Breast milk is also the ultimate renewable resource that helps create a more sustainable planet. Breastfeeding doesn’t require any packaging, fuel or waste. It’s one of the most organic substances available! Studies show that women who breastfeed lower their chances of developing cervical, breast and ovarian cancers; breastfeeding may also reduce women’s risk of developing type 2 diabetes, rheumatoid arthritis, and cardiovascular disease, including high blood pressure and high cholesterol. Breastfeeding also burns about 300-500 calories per day and helps mothers return to their pre-pregnancy weight. You should breastfeed for as long as both you and your baby want to. The American Academy of Pediatrics recommends that babies be exclusively breastfed — meaning your baby gets no additional food (except vitamin D) or fluids unless medically necessary — for about the first six months of life, followed by continued breastfeeding up to one year along with the introduction of complementary foods. However, breastfeeding does not have to be all or nothing, so any amount of breast milk your baby receives is beneficial. HOW CAN I PREPARE TO BREASTFEED? Educate yourself: Learn as much as you can about breastfeeding even before your baby arrives. Speak with other nursing women, read books about breastfeeding and consider taking a breastfeeding class (most hospitals offer them) with your partner. The more you learn, the more confident you’ll be when the time comes. Have a support network. Studies show that when a nursing mother has a partner who is educated about the benefits of breastfeeding and supports her choice to breastfeed, she is much more likely to be successful at it. Discuss your breastfeeding goals with your partner and tell other family members about your plans to breastfeed so they too can support you. Purchase the essentials. You really don’t need many supplies; however, I recommend purchasing at least 3nursing bras during the last month of pregnancy. Waiting until the last few weeks allows you to gauge your post- pregnancy breast size. If the bra fits at the end of the pregnancy, it’ll fit for nursing! Some other useful products include a nursing pillow and a breast pump. Contact your insurance to see which pump your plan covers. Locate a Lactation Consultant. Finding an International Board Certified Lactation Consultant (IBCLC) prior to delivery is highly recommended. You will then have someone to contact once your baby is born should you experience any issues or just want to make sure everything is going well. SHOULD I CONTINUE BREASTFEEDING IF I CATCH A COLD OR FLU? Absolutely! In fact, that is the best time to breastfeed. Before you even began feeling symptoms, your body started making antibodies to pass into your milk to protect your baby. Your milk will not transmit the virus to your baby. However, you should take the usual measures to prevent spreading germs: washing your hands often, not sneezing or coughing on your baby and limiting face-to-face contact if possible. 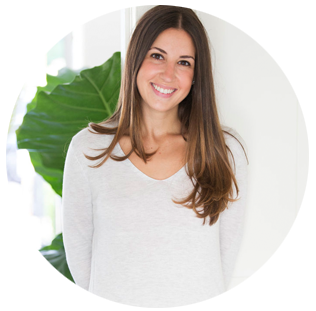 Rebecca Agi is a Los Angeles based International Board Certified Lactation Consultant who provides in-home counseling and education to new and expecting families. Rebecca completed her lactation consultant training though UC San Diego’s Lactation Program, and currently is the owner of Best Milk LA. There, Rebecca provided lactation support to hundreds of new mothers and babies with breastfeeding challenges.